Before the Apocalypse, Andrea made her mark as a civil rights attorney. When the end came, she and her sister Amy had embarked on an adventure-seeking trip. Andrea felt her first responsibility was to Amy. Even while trapped at a department store, Andrea thought of her little sister. She returned to the camp with a mermaid necklace as birthday gift. After Amy's death at the hands of a herd of Walkers, Andrea kept a vigil at the side of her sister's body. When Amy's corpse reanimated as the result of the infection, it was Andrea who finally fired the shot that put the young woman down. Andrea experienced enough hopelessness to even consider taking her own life and remained behind at the CDC when it was about to self-destruct. Dale's persistence eventually convinced her to flee for her life. It was with the arrival of the Group at the Greene farm that Andrea finally finds her reason to live. She undergoes a Sarah-Connor-like transformation and learns to handle weapons. With her new-found zeal, she joins the rotation to guard the campsite. Mistaking a wounded and staggering Daryl Dixon for a Walker, she fires a shot that almost kills him. Though she is overcome with guilt and shame, she is quickly forgiven by Daryl; who understood she was protecting the Group. While she could not protect her sister, Andrea could still protect the Group. She is a reborn Survivor, but the Andrea that fought for civil rights still lives. In honor of Andrea and her beloved sister Amy (and her appreciation for Mermaids and all things mythical) the WDSCB presents Mermaid Sliders (with a special nod to Tracey Gurney for inspiring the name.) Adapted from an old Chicken of the Sea recipe from the 50's, these reimagined sliders are original and memorable. Like Andrea, they can go anywhere are easily adaptable. Preheat oven to 450 degrees. 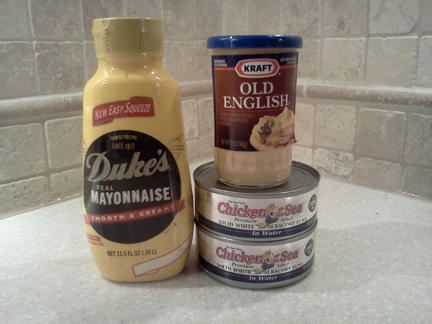 You may also "bake" biscuits over medium coals of a campfire. 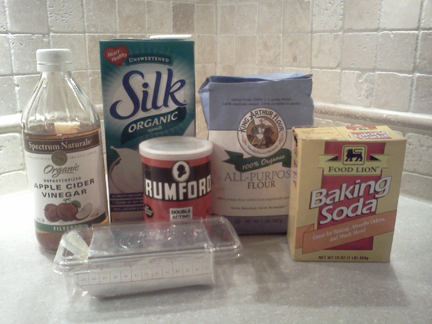 In a medium bowl, mix all filling ingredients together flour, baking powder, soda and salt. Using a fork, cut shortening into flour mixture until it resembles large crumbs. Make a well in the center of the mixture and pour in milk. Stir with a fork. Don't overwork the mixture or the biscuits will be tough. Turn dough out onto floured surface. Dust top with flour and knead gently. Only five or six times. Pat into a one-inch thick round. 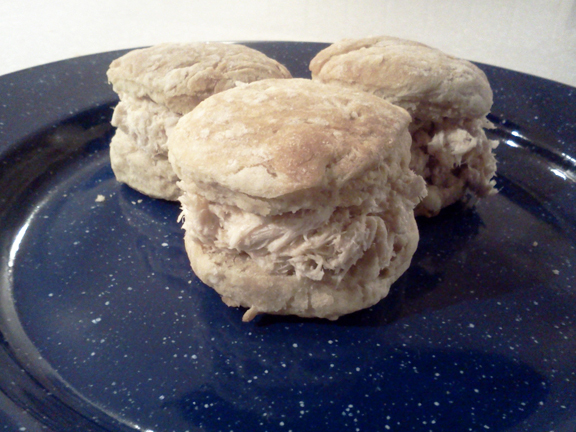 Cut out biscuits with a 2-inch biscuit cutter. Place biscuits on a cookie sheet. Allow the edges to touch lightly. Bake until they are tall and golden; about 15 minutes. Alternately, you may place dough in a cast iron skillet over medium coals. Cover with foil and allow to cook until biscuits are puffed and golden, rotating if needed. For the filling, mix all ingredients in a medium bowl. When biscuits are cooled, slice in half and spread with filling. Serve immediately.